Home / C-Life / Summer / How Can the Heat Affect Your Engine Oil? How Can the Heat Affect Your Engine Oil? As heat waves once again sweep our nation—continually expanding throughout the West and searing through the North—it is important to be mindful of the risks and potential dangers of such devastating heat. Heat is a powerful force (it can even prevent airplanes from flying! ), so information is definitely power here. When it comes to heat safety tips, we remind you to stay hydrated and to never leave children or pets unattended in vehicles, as hot cars can quickly turn deadly.How often do you think about effects of heat, especially as it pertains to your vehicle? The visual and somatic effects of a summer heat wave are easy to recognize—beads of sweat dripping off your brow, sunburned ears, ice cream melting faster than you can eat it, the familiar burn of fleshy thighs on a black leather car seat—it’s a real treat, isn’t it? But what about the cues that might be a little less visible? How do scorching temperatures affect what’s under the hood? Temperature affects oil, pure and simple. Generally speaking, temperatures affect an oil’s viscosity which can, in turn, affect your automotive engine (you can learn all about viscosity here). In the past, motorists would compensate for seasonal temperature changes by using different grades of oil during different times of the year: lightweight oils in cold weather and heavier oils in the hot temperature months. At the time, this was necessary to maintain proper engine lubrication. Extremely cold temperatures can cause the fluid to actually congeal, causing improper oil flow throughout the engine, and therefore not providing adequate lubrication; conversely, using an engine oil with too low a viscosity (particularly in high temperatures) would not provide sufficient film between the metal-to-metal contact. Multivoscosity oils have made seasonal engine oils rather unnecessary, as they are specifically developed to operate within a wider temperature range thanks to Viscosity Index Improvers. VI improvers compensate for the range of temperatures to which an automotive engine may be exposed. An example of a common multiviscosity grade oil is 5W-20, where the “W” stands for “winter” and the lower “W” rating represents a lower pour point. 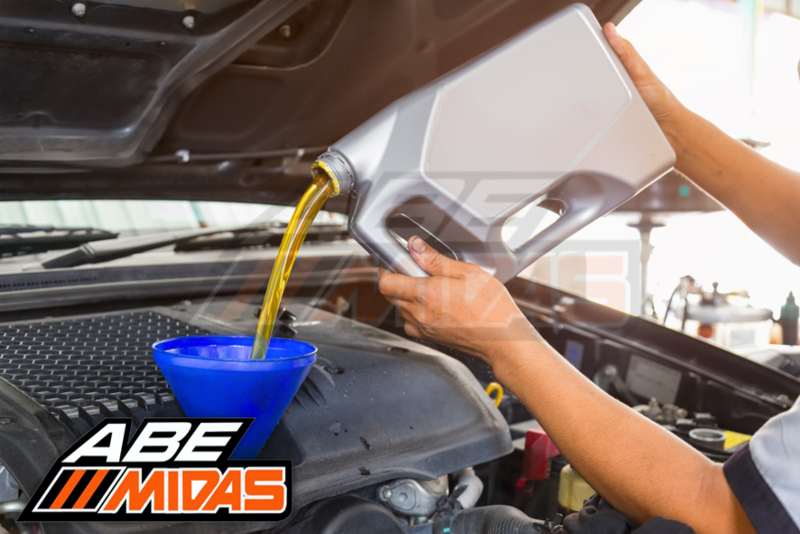 The additives within these multiviscosity oils enable the oil to efficiently lubricate the engine upon initial startup, but reach manufacturer specifications by the time the engine reaches its operating temperature. Extreme temperatures on either end of the spectrum can cause lubricant degradation. Lubricants don’t really get better as they age, and heat only further stresses them out (causing the lubricant equivalent of fine lines and wrinkles, you could say). Svante Arrhenius, a Swedish scientist, won the Nobel Prize for Chemistry in 1903 when he discovered the relationship between temperature and (most) chemical reaction rates. The Arrhenius Rate Rule applies to lubricants in that once they have exceeded their base activation temperature, lubricants will degrade twice as fast for every 18°F (10°C) increase in temperature. Oxidation is the most common reaction of an in-service lubricant (Machinery Lubrication has a thorough breakdown of what lubricant oxidation is here). Heat can accelerate the oxidation process on Arrhenius’ principle, as mentioned above. Oxidation can cause a variety of problems for your engine oil, including viscosity increase, sludge and sediment formation, loss in foam control, rust formation and corrosion. While it will probably be a while until we need to worry about freezing temperatures, knowledge is power! Next post: What Happens to a Car without Coolant/Antifreeze?